The Abuja Job & Career Fair is a job festival, a one stop point to connect employers with employees! If you are looking for a job, you should attend the 2016 Rekruit Job and Career Fair from 10 a.m. to 5.p.m. Thursday, December 8th at the Ladi Kwali Hall, Sheraton Hotels, Abuja. discipline, from hospitality and health care to finance, education, telecommunications, computer science, interim management jobs, Skill jobs and everything in between. There will be a Mock Fair on Tuesday the 6th of December from 10am till 5pm at the IBI Center, 215 Adetokunbo Ademola Crescent, Wuse II, by AP Plaza, where you will have an experience of the fair before the fair and have opportunity for your CV to be re-worked for FREE. Nearly 150 local employers and employment resource organizations will be participating in the event. Job seekers will require tickets to gain access to these ready-to-hire employers and employment resource organizations. 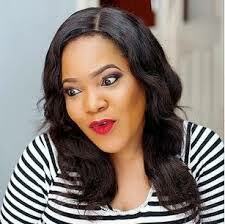 The tickets goes for N2,500 and N1,500 for Corpers and students with I.D. “In addition to bringing in top employers from throughout the city of Abuja and Environs, we are providing resources for jobseekers to assist them in preparing for their search,” says Daniel Oratoghai, founder of EVENZA the organizers of the Event. This job fair is one way to help Enterprise owners in Abuja strengthen their businesses, whilst providing a source of descent employment to her teeming youth and employers will be able to participate for as low as N10,000” he concludes. From major communication service providers to top skill-seeking companies, there will be a variety of employers at the fair to meet nearly every field of employment. More detail information are available at the event website on www.jobandcareerfair.com . 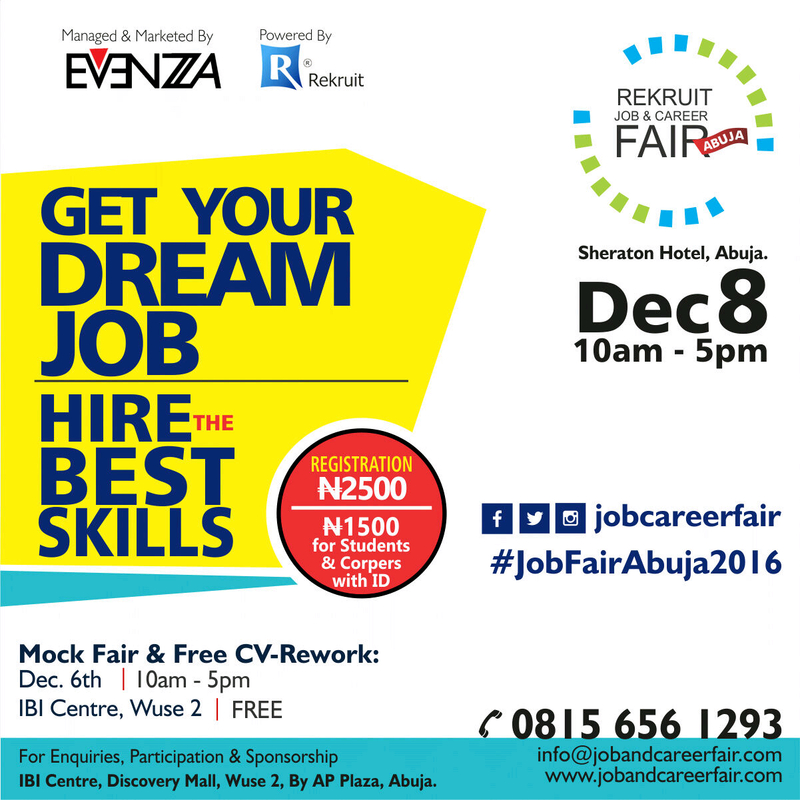 The 2016 Rekruit Job and Career Fair is a partnership between EVENZA, Rekruit.com.ng, Priseware, Sabificate Institute, IBI Centre, Media Range, iCOM.ng, Fushion Lifestyle, Chioguefi Consultancy, Jamisi Communications, Box Office Incubator and media support from Silverbird TV, Rhythm 94.7fm, Silverbird Entertainment Center, etc. Employers interested in more information should call 0815 656 1293, 0703 or email the job fair coordinator at info@jobandcareerfair.com.